The Carrot is a root vegetable in the parsley family, it has lacy green leaves and a long slender orange root. 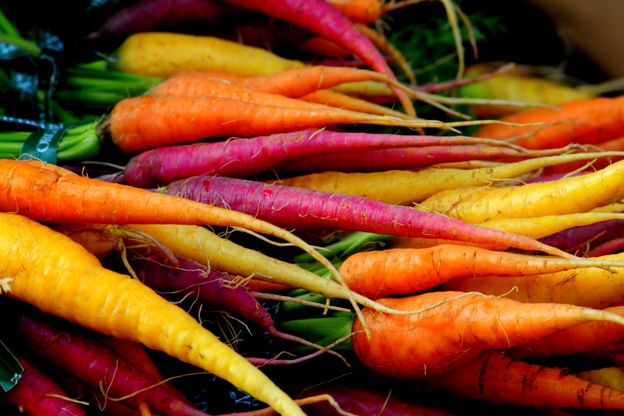 First cultivated in Afghanistan, carrots originally had purple exteriors and yellow flesh. In fact carrots were formerly every color, but orange. 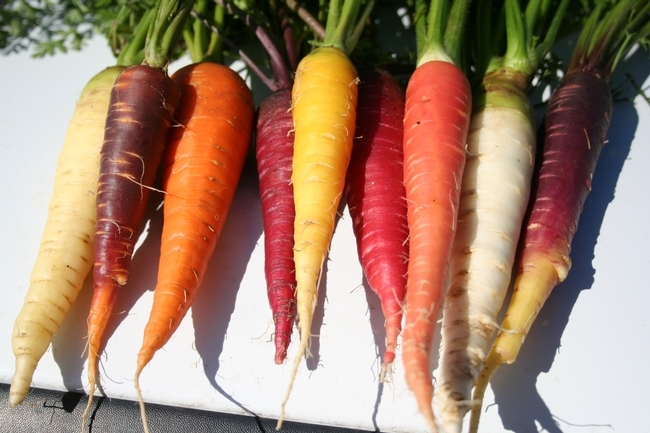 Red, black, yellow, white and especially purple were common, but it was the Dutch in the Middle Ages, that developed the bright orange carrot. The domestic carrot has been selectively bred for its greatly enlarged and more palatable, less woody-textured edible taproot. It is a domesticated form of the wild carrot Daucus carota, native to Europe and S.W. Asia. Carrots have a crisp texture when fresh. The most commonly eaten part of a carrot is a taproot, although the greens are edible as well. Young / Baby Carrots, are more tender, but less flavorful. 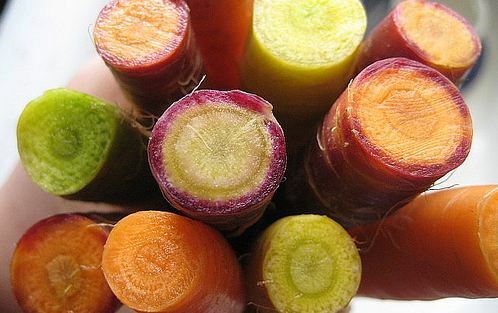 Carrots are nutritional heroes, they store a goldmine of nutrients. Few other vegetables or fruit contain as much carotene as carrots, which the body converts to vitamin A. The carrot is an herbaceous plant containing about 87% water, rich in mineral salts and vitamins (B,C &,E). 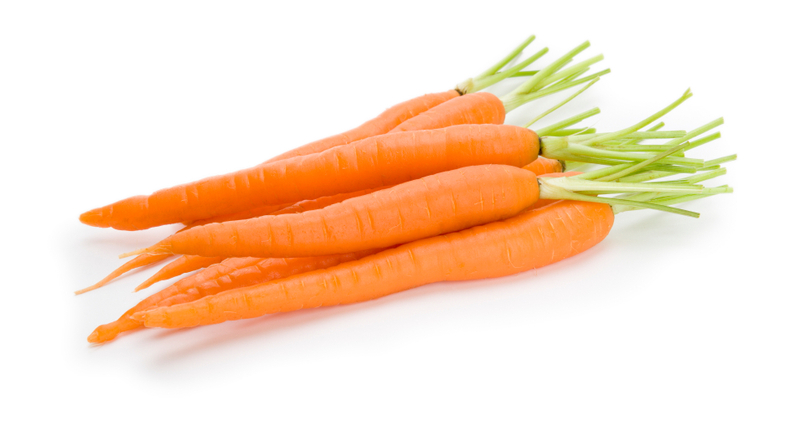 The high level of beta-carotene is very important and gives carrots their distinctive orange color. Which is more nutritious? Carrots in their raw state or Cooked? A carrot like most vegetables is healthiest when raw, but because of the cellular nature of the carrot, the human body cannot break it down enough to benefit from it, because of this, the healthiest way to consume a carrot is juiced fresh. That said, unless you are juicing the Carrot, they are one of the few vegetable that are just as healthy or healthier when cooked. Researchers have deemed boiling whole as the healthiest method for cooking carrots. Carrots contain more sugar than any other vegetable, with the exception of beets. Attempts have been made to extract sugar from Carrots, but the resulting thick syrup refuses to crystallize, and in competition with either cane sugar or that obtained from the sugar beet, it has not proved commercially successful. The sugars of the carrot are concentrated in it's core, so in general those with a larger diameter will have a larger core and therefore be sweeter. The Ancient Greeks called carrots "Karoto"
In early Celtic literature, the carrot is referred to as the "Honey Underground". Both of the words in "Daucus Carota" mean orange. The World Longest Carrot recorded in 2007 was 5.839 meters (19 feet 1 7/8 inches) . Want more fascinating carrot facts? The Carrot is a very versatile vegetable, it may be eaten raw or cooked, it can be used as a drink, starter, main course, dessert or just as a snack. Used in a myriad of savory and sweet dishes, Carrots are sold fresh and whole in bunches, cleaned ndt cut in bags, canned, frozen and dehydrated. In a large stockpot, melt butter and saute onion until soft and tender, about 5 minutes or so. Add carrots, potatoes, chicken broth, and ginger powder. Cover and cook on medium heat 30 minutes or until veggies are very tender. 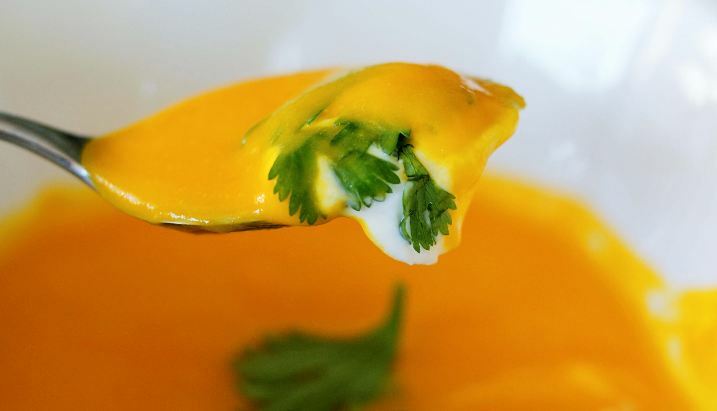 Using a stick blender, puree the soup right in the pot or pour some into a blender and puree it in batches. Return to heat and add milk, rosemary, salt, and pepper. Cook over low heat for 5 minutes or so. 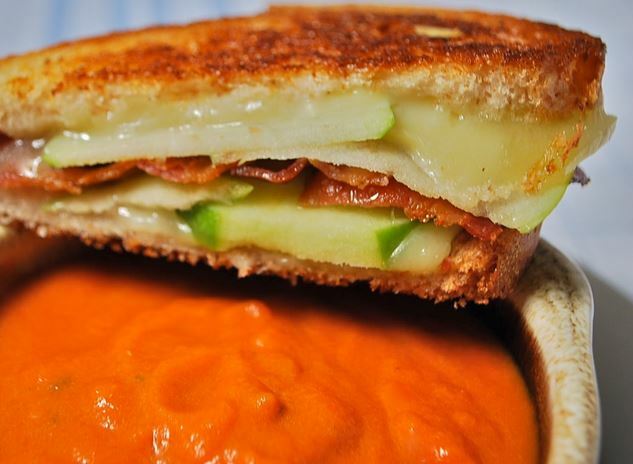 Blend all the ingredients for a smooth consistency. Season with sea salt and black pepper. Refrigerate till you are ready to eat. 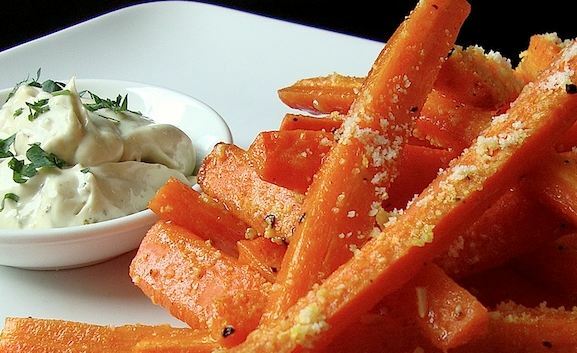 Clean and cut carrots into 1-inch fries. Drizzle a generous amount of olive oil all over carrots and add parmesan cheese. Toss to combine and add to a large baking sheet. Bake for 10 minutes turning over occasionally. Serve hot with chilled dipping sauce on the side. Peel, wash and cut carrots into 2 inched strips ( I cut a carrot into 4 parts. For each part, I sliced into half and each half I cut into 2 or 3 pieces). Chop onions and a green chili. 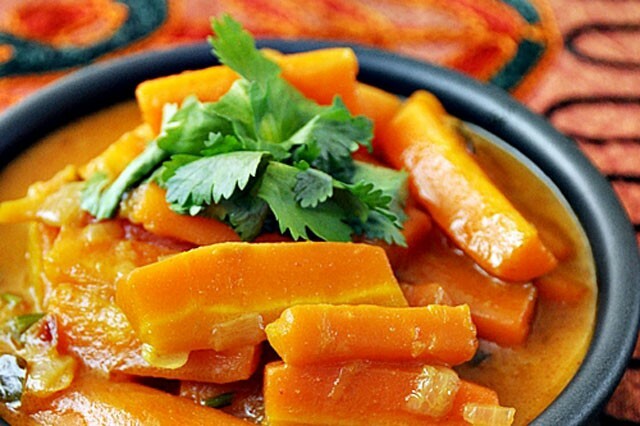 Add the carrots with ground cumin, coriander, turmeric, salt and chili powder in a mixing bowl. Mix well. Heat oil until very hot in the pan. Add chopped onions and green chili and sauté until the onions are lightly brown. Add carrot mixture and keep tossing for 5 to 7 minutes. Add coconut milk and water. Bring to boil and simmer with a lid on until the carrots are tender. Just before the end of cooking time (when the carrots are quite tender), add the stalk part of the coriander into the curry. Taste the curry if more salt is required. If the curry happens to be too salty, add some sugar (brown sugar is preferred) to balance the taste. Garnish with cilantro leaves and serve immediately. Best served with rice. Add carrots to a saucepan; add water to cover; bring to a boil; cook 20-25 minutes or until tender; drain. 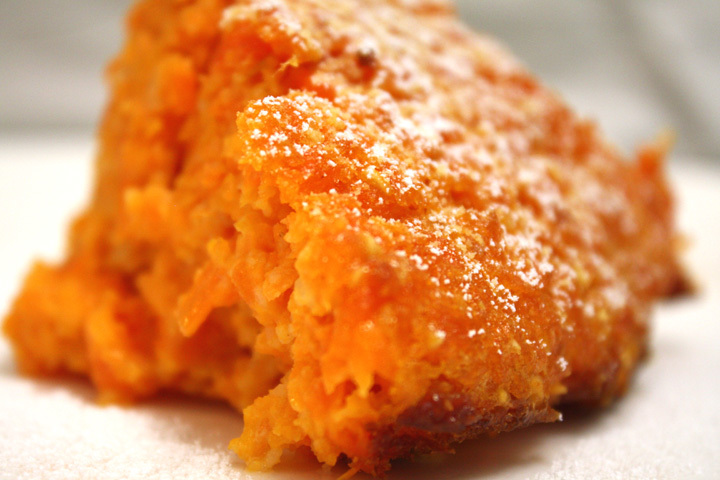 Add carrots, butter, and the rest of the ingredients to a food processor. Process until mixture is smooth. Spoon mixture into a lightly greased 1 1/2 quart souffle dish. Bake at 350 degrees for 1 hour and 10 minutes or until set. This recipe takes about an hour to prep and a little more then an hour to cook. It serves about 6.